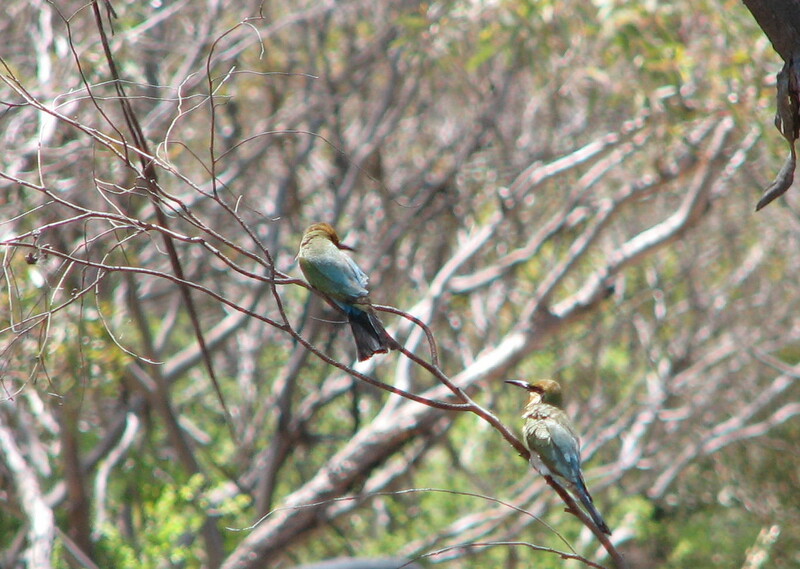 We heard the Rainbow Bee-eaters late this afternoon. 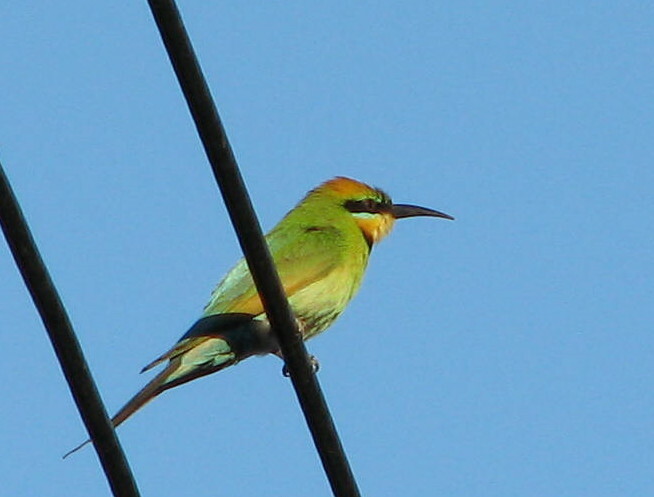 My wife and I always love hearing and seeing the first Rainbow Bee-eaters of the season. Sometime in early spring this species moves from northern Australia to the southern parts of the country to breed. They are unusual in their nesting habit: they make a small tunnel in the earth, on the graded sides of roads or in the banks of creeks, rivers and wash-aways. This tunnel can be up to 60cm long and ends in a small chamber where they lay their eggs. It has been quite a few years since they last nested on our property. I hope they will stay and make a nest this year.